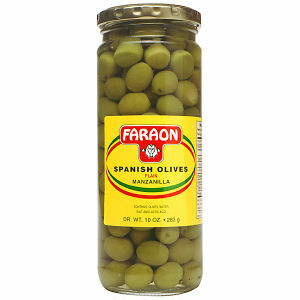 Spanish Manzanilla Olives with pits. These olives are exclusively imported from the Seville region in Spain, internationally recognized as the best olives in the world. Faraon quality insures you get the very best.